Erica R.H. Fuchs is a Professor in the Department of Engineering and Public Policy at Carnegie Mellon University, and was the founding Faculty Director of Carnegie Mellon University’s Manufacturing Futures Initiative – an initiative across six schools aimed to revolutionize the commercialization and local production of advanced manufactured products. Her research focuses on the development, commercialization and global manufacturing of emerging technologies, and national policy in that context. Dr. Fuchs was selected in 2012 as World Economic Forum Young Scientist (top 40 under 40, internationally). Over the past decade, Dr. Fuchs has played a growing role in national and international meetings on the future of advanced manufacturing, including being one of 23 participants in the President’s Council of Advisors on Science and Technology workshop that led to the creation of the Advanced Manufacturing Partnership, and serving on the expert group that supported the White House in the 2016 Innovation Dialogue between the U.S. and China. She currently serves on the National Academies’ National Materials and Manufacturing Board; the World Economic Forum’s Future of Production Global Futures Council; the Academic Advisory Board for M.I.T.’s Institute for Data, Systems, and Society, of which M.I.T.’s Technology Policy Program is a part; and the Advisory Editorial Board for Research Policy. Before coming to CMU, Dr. Fuchs completed her Ph.D. in Engineering Systems at M.I.T. in June 2006. She received her Masters and her Bachelors degrees also from M.I.T. in Technology Policy (2003) and Materials Science and Engineering (1999), respectively. Dr. Fuchs spent 1999-2000 as a fellow at the United Nations in Beijing, China. She grew up and attended K-12 in the Reading Public School District in Reading, PA. 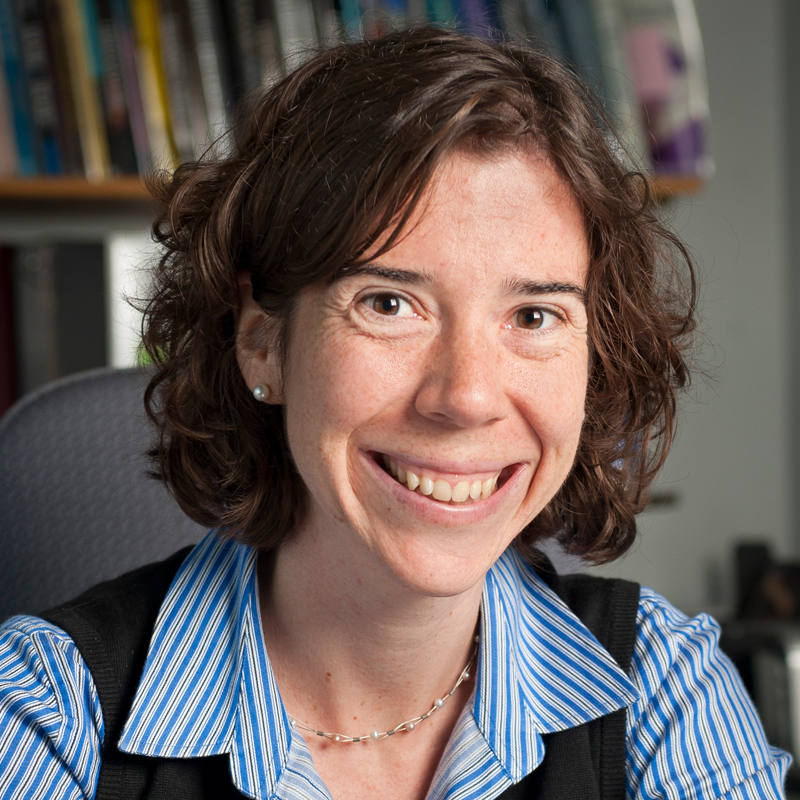 Her work has been published among other places in Science, the Nature journals, Research Policy, and Management Science; and has been covered on National Public Radio and in the New York Times. Laureijs, R., Fuchs, E. Whitefoot, K. 2018. Is More Less: Benefits and Costs of High Variety Production in Non-Assembled Production Environments. ASME Journal of Mechanical Design. Accepted. Forthcoming. Helveston, J., Karplus, V., Wang, Y., and Fuchs, E. Institutional Complementarities: The (Unlikely) Origins of Experimentation in China’s Plus-In Electric Vehicle Industry. Research Policy. Accepted. Forthcoming. Azoulay, P, Goldstein, A., Kearney, M., Fuchs, E. Funding Breakthrough Research: Promises and Challenges of the “ARPA Model.” National Bureau of Economic Research (NBER). Innovation Policy and the Economy Series. Editors Scott Stern and Josh Lerner. MIT Press. Volume 19. Khan, H., Hounshell, D. and Fuchs, E. 2017. Science Policy for the End of Moore’s Law. Nature Electronics. Vol. 1. January 2018. pp 14-21. Helveston, J., Liu, Y., Feit, E., Fuchs, E., Klampfl, E., and Michalek, J. 2015. Will subsidies drive electric vehicle adoption in China and the U.S.? Transportation Research Part A: Policy and Practice. 73: March 2015 pp. 96-112. Fuchs, E. 2014. Global Manufacturing and the Future of Technology. Science. 345(6196): 519-520. Woolley, A. and Fuchs, E. 2011. Collective Intelligence in the Organization of Science, Invited Paper. Special Issue on New Directions in Organization Science. Organization Science. 22(5): 1359-1367. Fuchs, E., Kirchain, R., and Liu, S. 2011. The Future of Silicon Photonics – Not So Fast? : Insights from 100G Ethernet LAN Transceivers. Journal of Lightwave Technology. 29(15): 2319-2326. Fuchs, E., Field, F., Roth, R., and Kirchain, R. 2011. Plastic Cars in China? The Signifiance of Production Location over Markets for Technology Competitiveness in the United States versus the People’s Repulic of China. International Journal of Production Economics. 132(2011): 79-92. Fuchs, E., and Kirchain, R. 2010. Design for Location? : The Impact of Manufacturing Off-Shore on Technology Competitiveness in the Optoelectronics Industry. Management Science, 56(12): 2323-2349. Fuchs, E. 2010. Rethinking the Role of the State in Technology Development: DARPA and the Case for Embedded Network Governance, Lead article. Research Policy, 39(2010): 1133-1147. Fuchs, E., Field, F., Roth, R., and Kirchain, R. 2008. Strategic Materials Selection in the Automotive Body: Economic Opportunities for Polymer Composite Design. Composite Science and Technology. 68(9): 1989-2002. Fuchs, E., Bruce, E., Ram, R., and Kirchain, R. 2006. Process-Based Cost Modeling of Photonics Manufacture: The Cost-Competitiveness of Monolithic Integration of a 1550nm DFB Laser and an Electro-Absorptive Modulator on an InP Platform. Journal of Lightwave Technology. 24(8): 3175-3186. Veloso, Francisco and Fuchs, E. 2002. The Future of the Asian Auto Industry: Regional Integration, Alternative Designs, and Chinese Leadership. International Journal of Vehicle Design. 35(1): 111-136. Funk, P., Vaishnav, P., White, B., Davis, A., Fuchs, E. 2018. Individual inconsistency and aggregate rationality:Overcoming inconsistencies in expert judgment at the technical frontier. Khan, H., Hounshell, D. and Fuchs, E. 2017. Scaling Moore’s Wall: A Public Private Partnership in Search of a Technological Revolution. http://ssrn.com/abstract=2497218 Revise and Resubmit. Research Policy. (Committee Member.) 2017. An Assessment of ARPA-E. Science Technology and Economic Policy (STEP) Board. National Academy of Sciences. (Committee Member.) 2013. Optics and Photonics: Essential Technologies for Our Nation. Board of Manufacturing and Engineering Design, National Materials Advisory Board, National Academy of Sciences. Globalization; international technology and operations management, innovation and industrial policy.